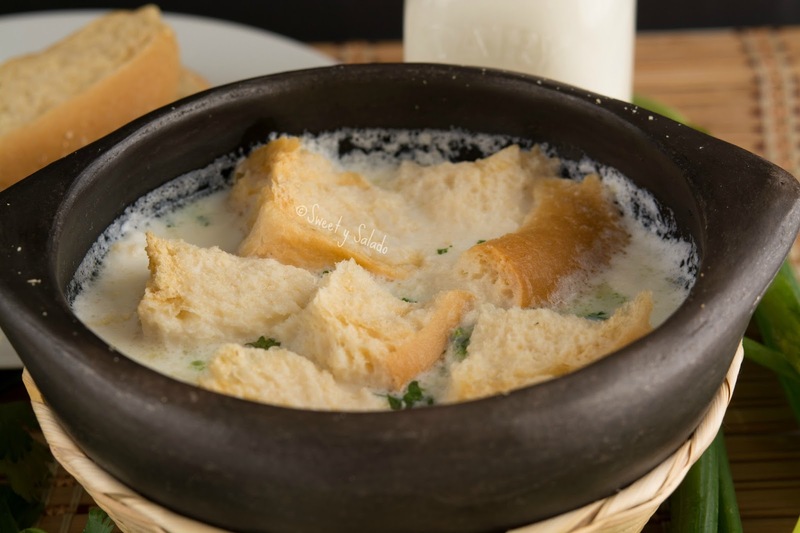 There are so many different kinds of soups made in Colombia that a soup made with milk and eggs should not be a surprise at all. It was a surprise for me, however, when I first heard about it because it is not that popular in the area where I’m from, which is mainly Medellín. 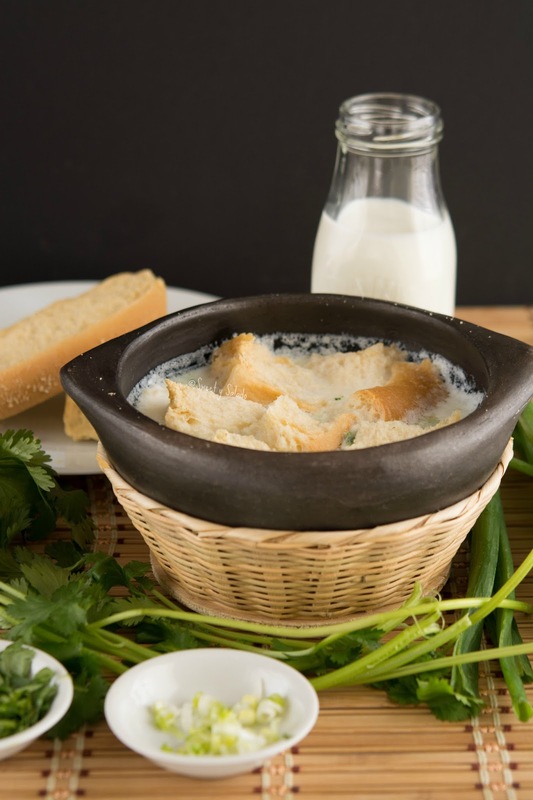 Changua is more of a Cundinamarca-Boyacá kind of soup where is very common to serve it for breakfast. I’ll say it right now and confess that I’m not a big fan of this soup. I just can’t get over the fact that it’s milk seasoned with onion, cilantro and served with eggs that were poached in the simmering milk. I always think of milk for breakfast if I’m eating cereal or oatmeal but not as a soup. I simply can’t. My husband on the other hand, loves it, but he’s more Colombian than I am and grew up eating all kinds of soups. So, if you’re just like him or have an adventurous side and want to try it out, go right ahead and make it because I hear it’s delicious! 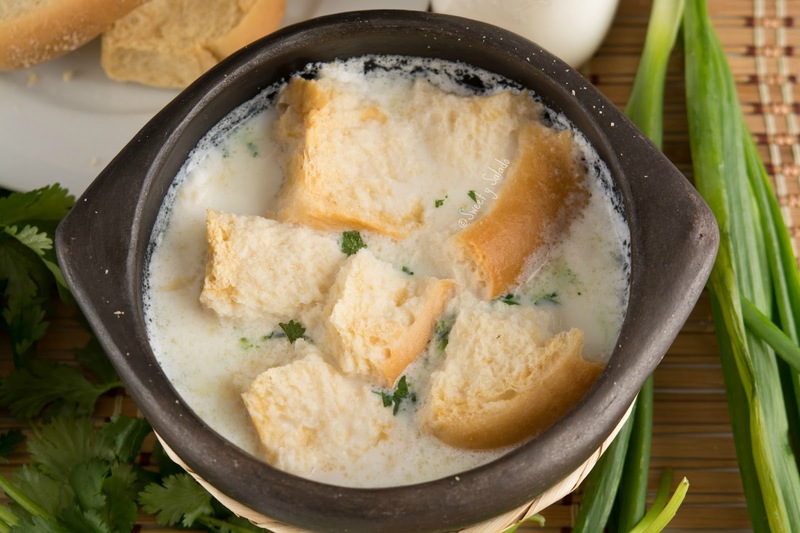 Place the water, milk, butter, green onion, cilantro and salt in a medium-large pot and bring to a boil on high heat. Right before it starts boiling, reduce to medium low and keep it at a slow simmer. Remove the green onion and cilantro. Now, add the eggs one at a time and cook for 3 minutes for a soft yolk or 6-8 minutes for a hard yolk. It's easier if you place the egg in a small container before adding it to the hot pot. Also, using fresh eggs makes it easier to poach them. Serve immediately with toasted bread and garnish with chopped green onion and cilantro.